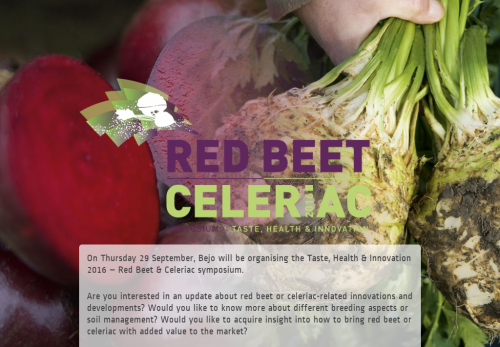 On Thursday 29 September, Bejo will be organising the Taste, Health & Innovation 2016 – Red Beet & Celeriac symposium. Are you interested in an update about red beet or celeriac-related innovations and developments? Would you like to know more about different breeding aspects or soil management? Would you like to acquire insight into how to bring red beet or celeriac with added value to the market? If so, attend the Red Beet & Celeriac Symposium 2016!